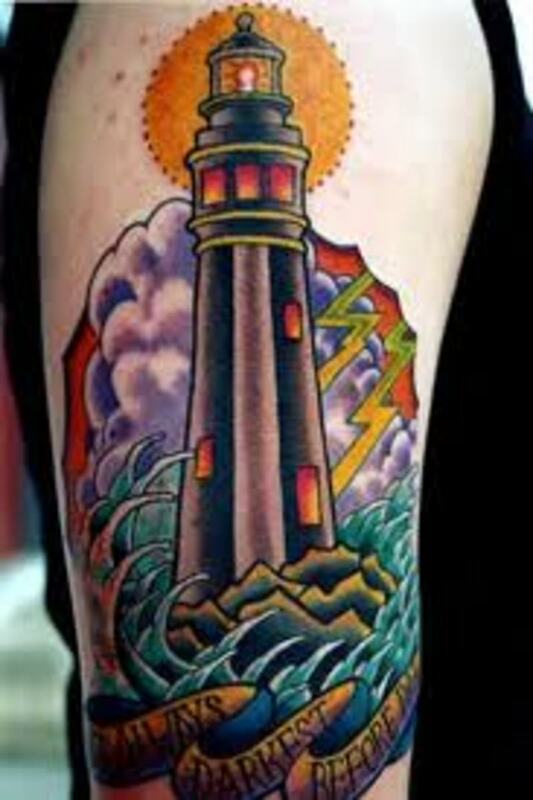 One interesting design that you may want to consider for your next tattoo is the lighthouse. While it's not that popular, both men and women do still seek them out. It can also represent a variety of different meanings—they are usually also very colorful and very meaningful to those who have them. Although they can be designed in various sizes, due to the detail and shades, it looks much better large. 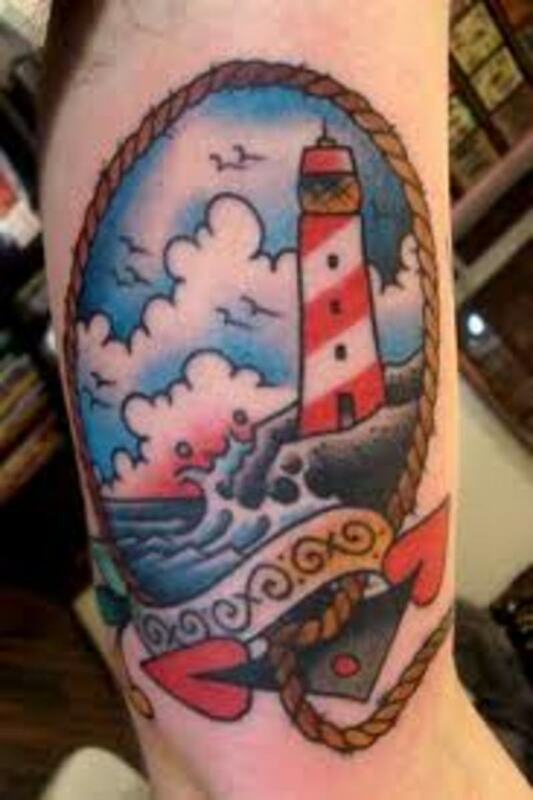 In this article, we will discuss lighthouse tattoo designs. We will also review their meanings and you will have the opportunity to view many different variations. 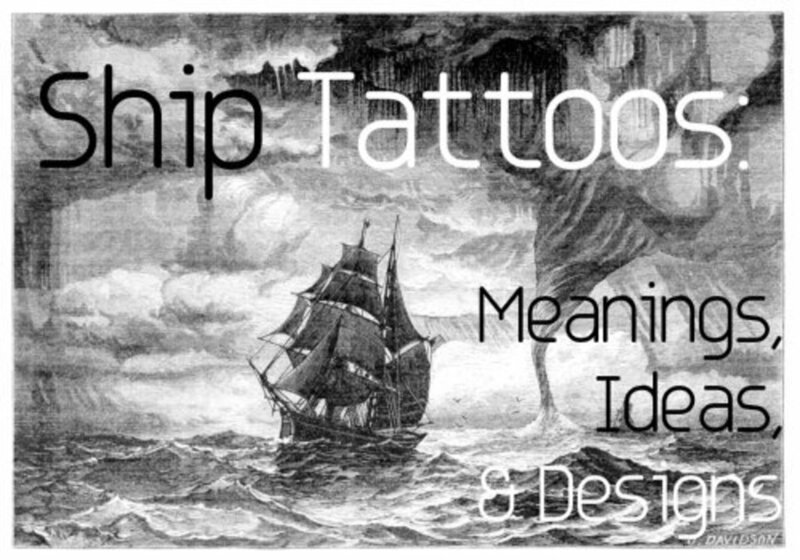 In the end, we hope that you are able to find ideas and inspiration for your next tattoo! 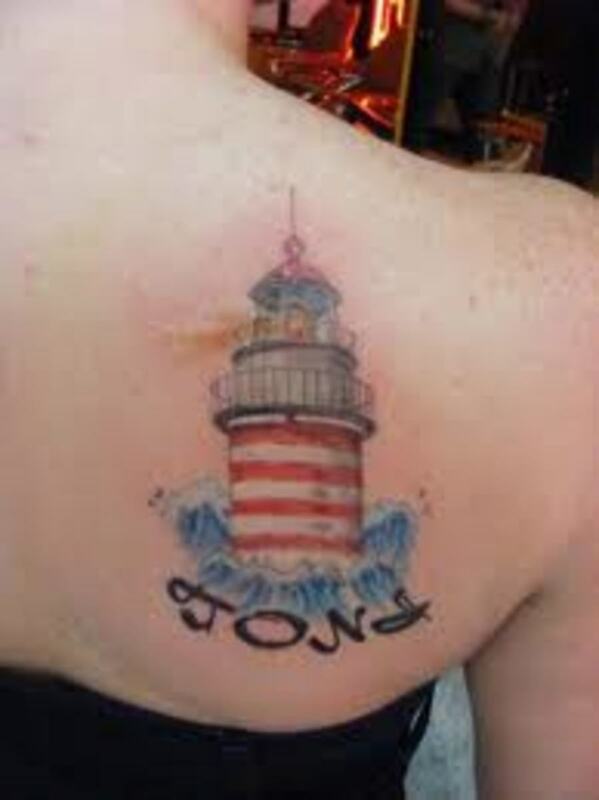 Lighthouse tattoos come in a variety of different creative designs and are often portrayed with other maritime symbols. They're worn by both men and women, and are a popular design especially in coastal areas. They are symbolic and represent a variety of different things. 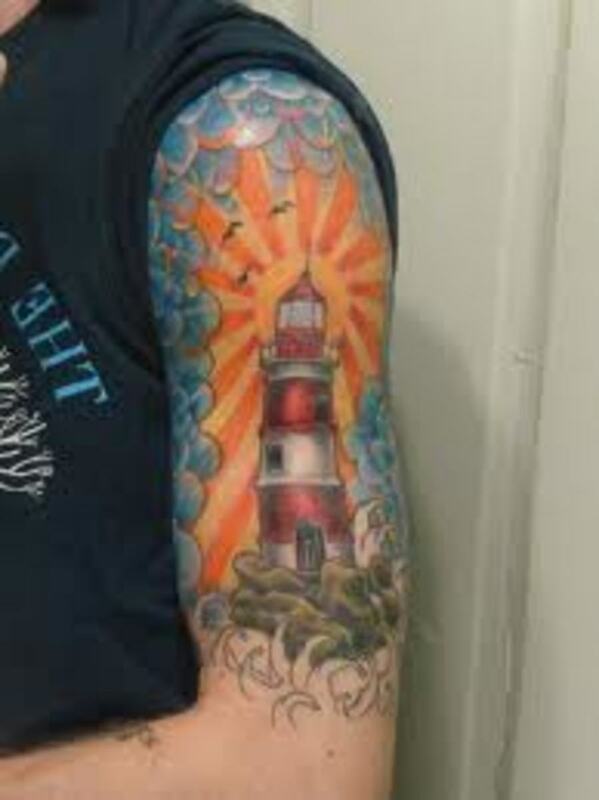 The lighthouse was created years ago and it served one general purpose: to warn passing ships that the coast was near. The light in the lighthouse can be seen from miles away, and it would let the sailors know that the coast was near. 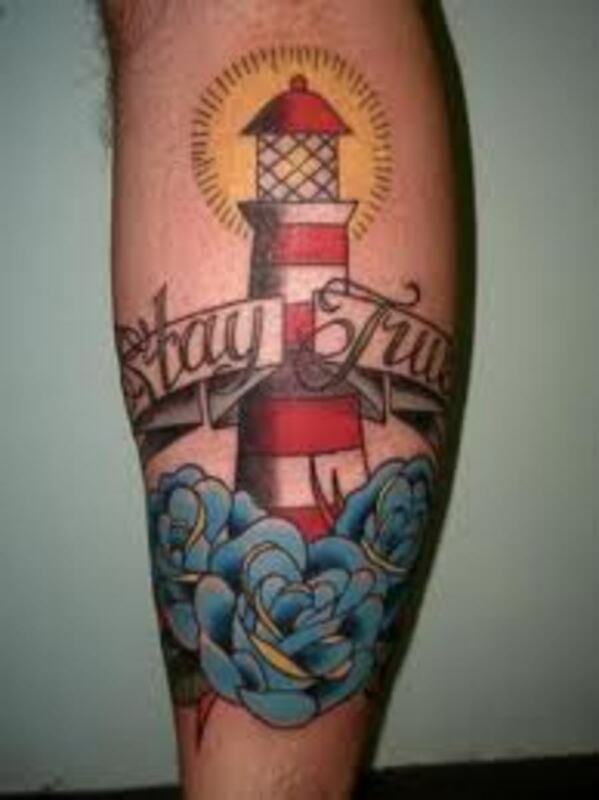 This same interpretation can be said for the tattoos in that they represent "a guiding light" in our life. It can symbolize the correct path to take in life. 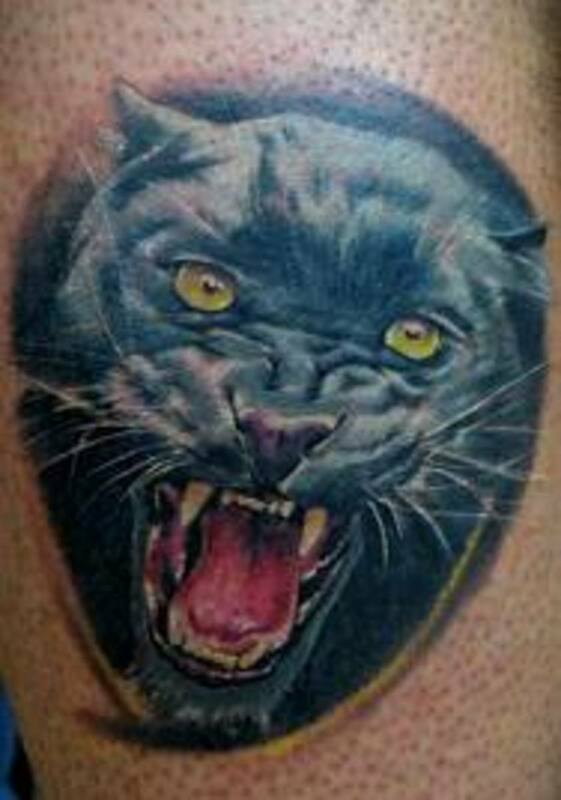 For some, symbolic value in this tattoo can run deep in meaning. 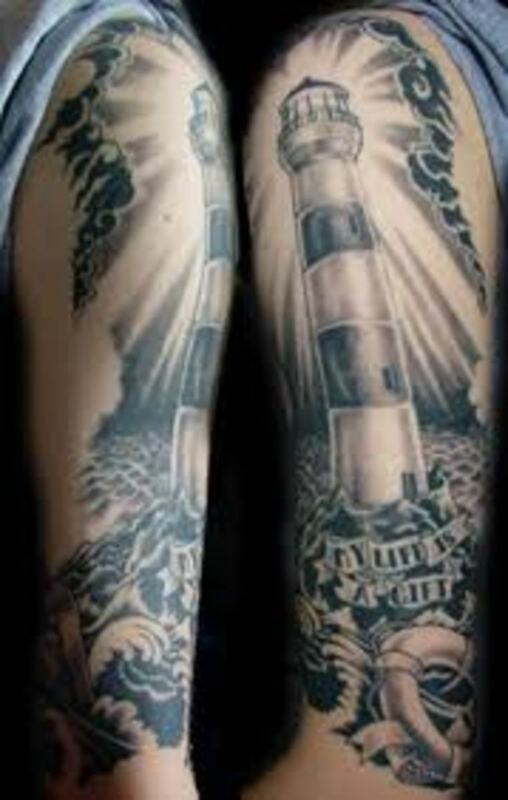 You rarely ever see a lighthouse portrayed alone in the tattoos. 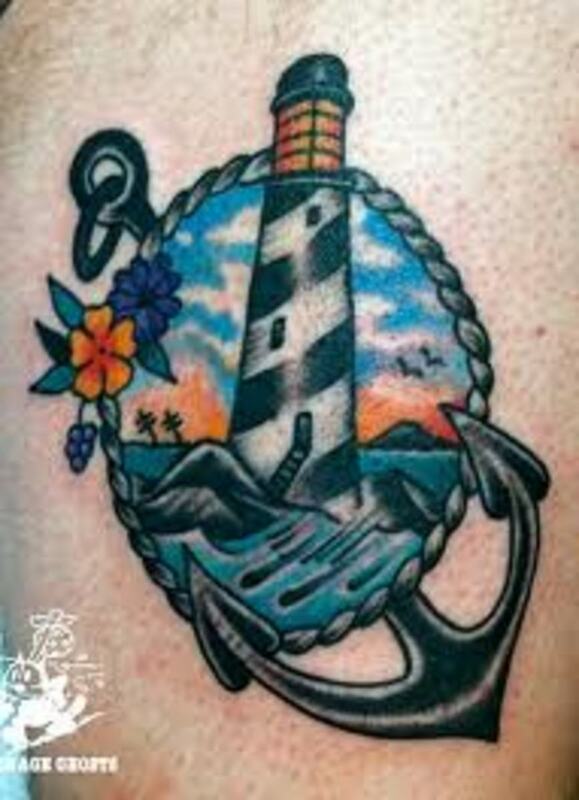 They'll often portray maritime symbols or appropriate characters within the designs. There are a host of symbols that can be incorporated with it. 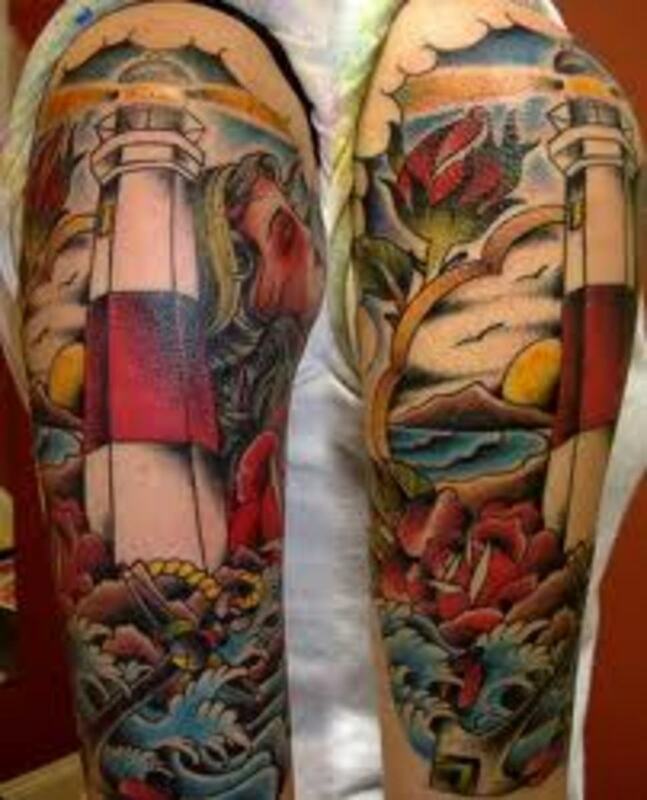 These can include anchors, stars, ocean water and waves, the moon, swallows, doves, and much more. This gives you an advantage to create a unique one of your own, one that has never been seen before. 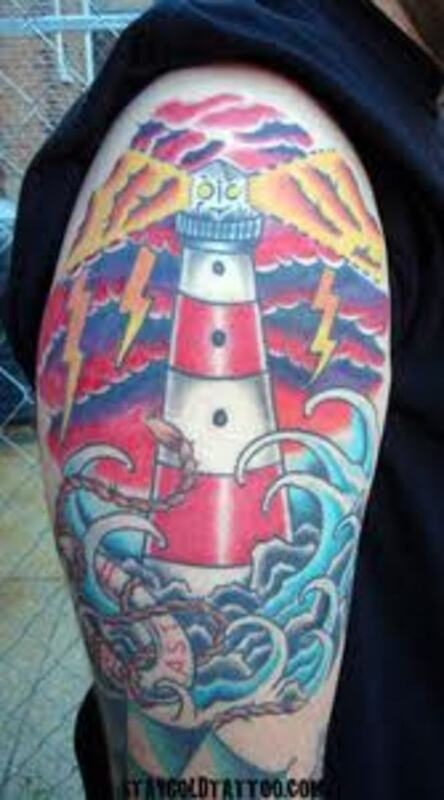 Flowers, fish, and lightning are also portrayed in lighthouse tattoo designs. 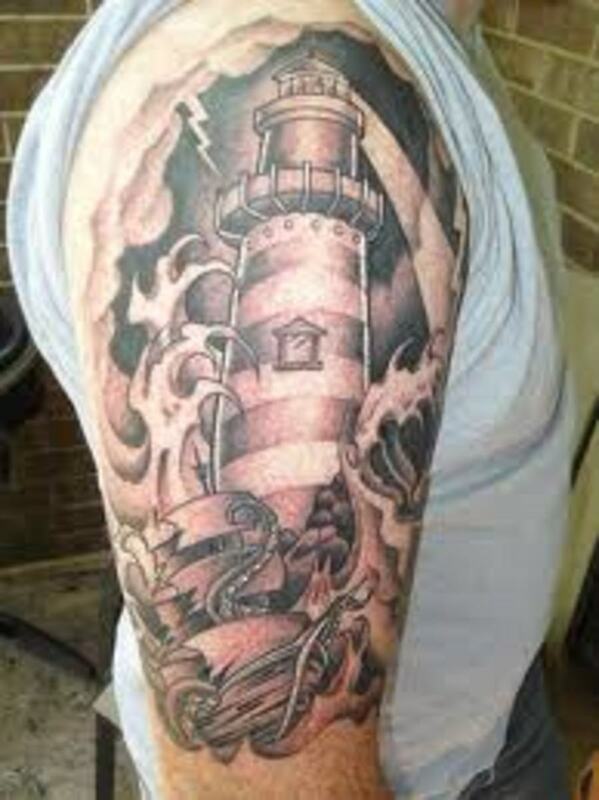 Lighthouse tattoos often portray the coastal landscape, which can include sand and jagged rocky edges. 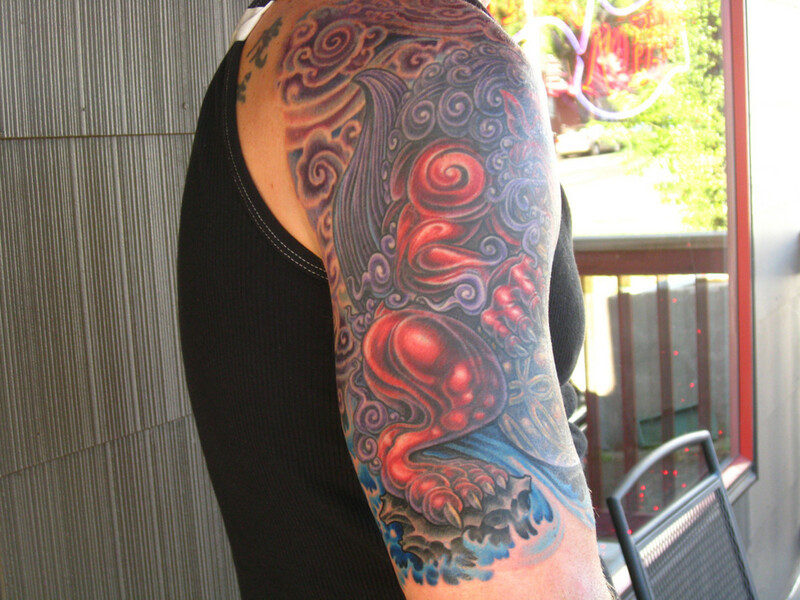 This is one of the most colorful tattoo designs out there. They are usually done in medium to large sizes. Due to their size, they are most popularly found on the arms, legs, and backs. This is not to say that they don't come in smaller sizes and that they can be tattooed anywhere else on the body, because they can be. Make sure you take your time and view a variety of different designs so you can find a suitable size. 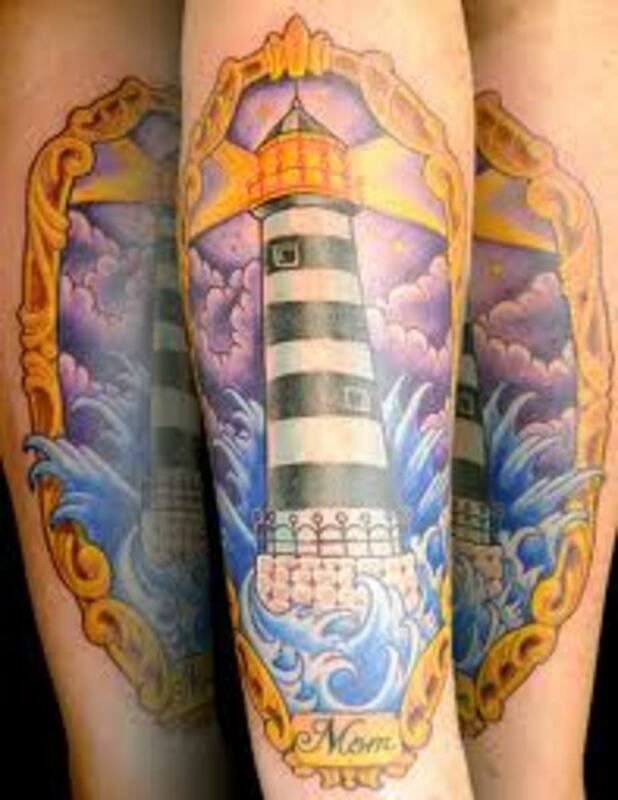 A popular version of this tattoo design portrays the lighthouse as if it was in a photo. These designs include an exterior boundary around the outer edge of the design. 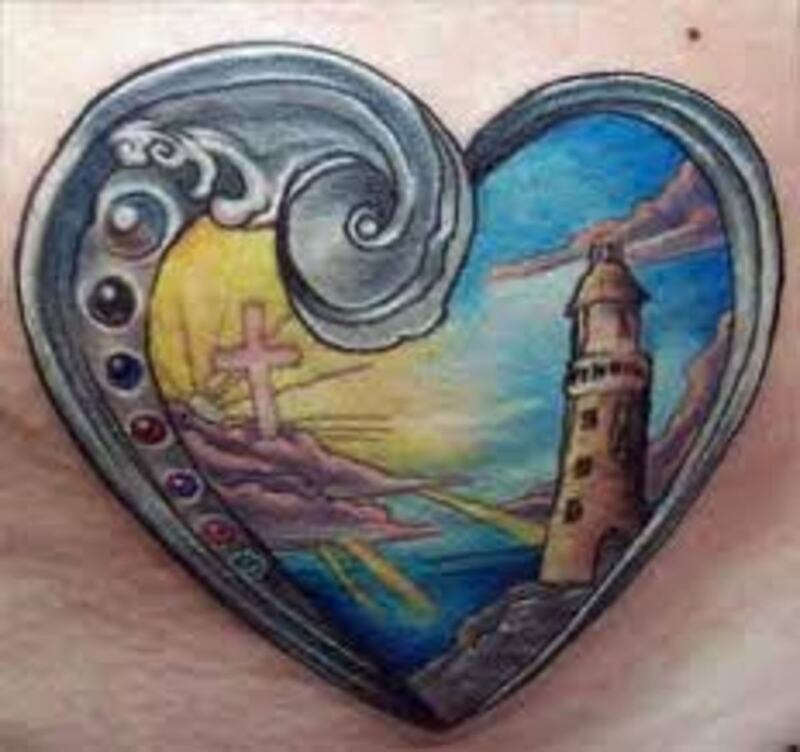 This gives the image that the tattoo is within a picture. Some designs may also use rope or ribbon on the border of it. Ribbons are a popular choice, since a scripted phrase can be added onto it. 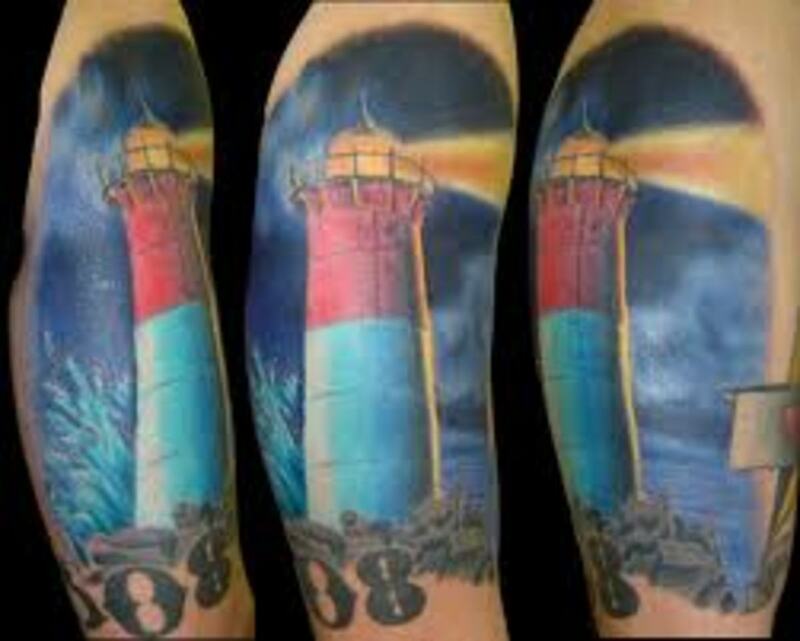 Lighthouses are also a popular way to symbolize sailors, fishermen, and loved ones that lived the maritime life or those who have passed at sea. This may include their name, important dates, or ribbons that read "faith" or "hope." For example, if a child has lost their dad, they may get one with "Dad" at the bottom on a ribbon. 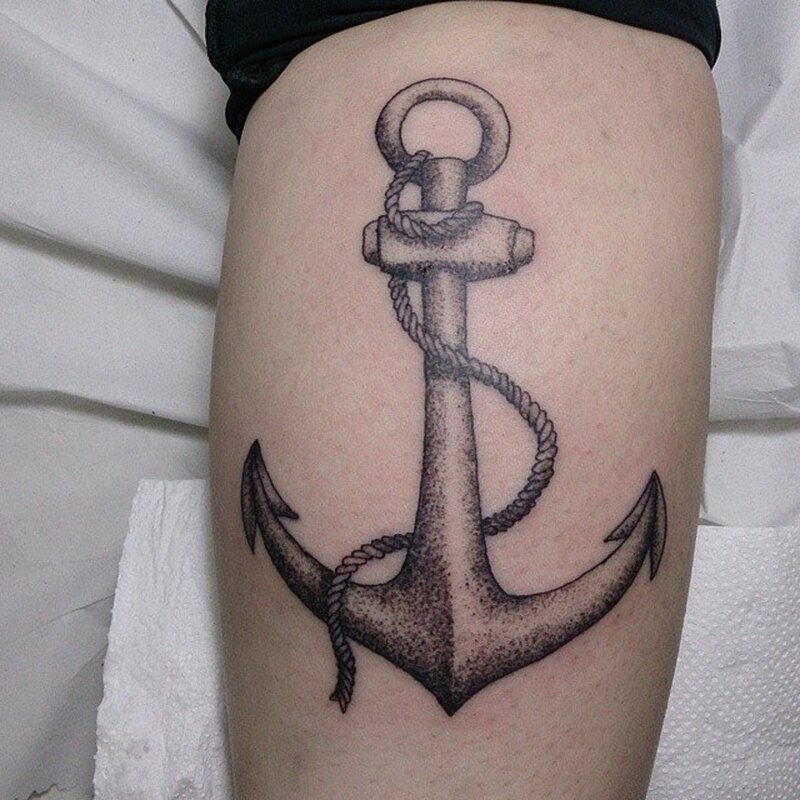 For obvious reasons, this design is popular among sailors and fishermen. It can be used to symbolize those who brave the open waters everyday to make a living for their family. When you consider all of this, this is just as meaningful as any other tattoo symbol in the world. Although it is symbolic, many people also choose this design for its beauty. It is very colorful and there are many things that can be associated with them. This gives you many options. For example, you can design it to make it look very realistic or give it a more cartoon look. It can have a landscape behind it while others may appear as if they are within the clouds. 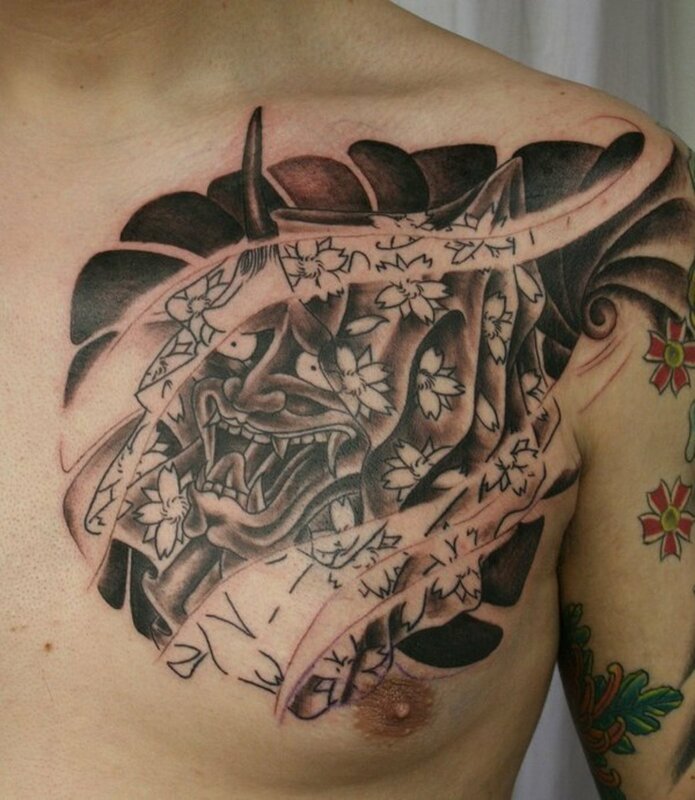 There are some very important things that you need to remember before you choose a final tattoo. Do your own research and take the time to look at a variety of different designs. You want to make sure you are completely sure about your final choice. 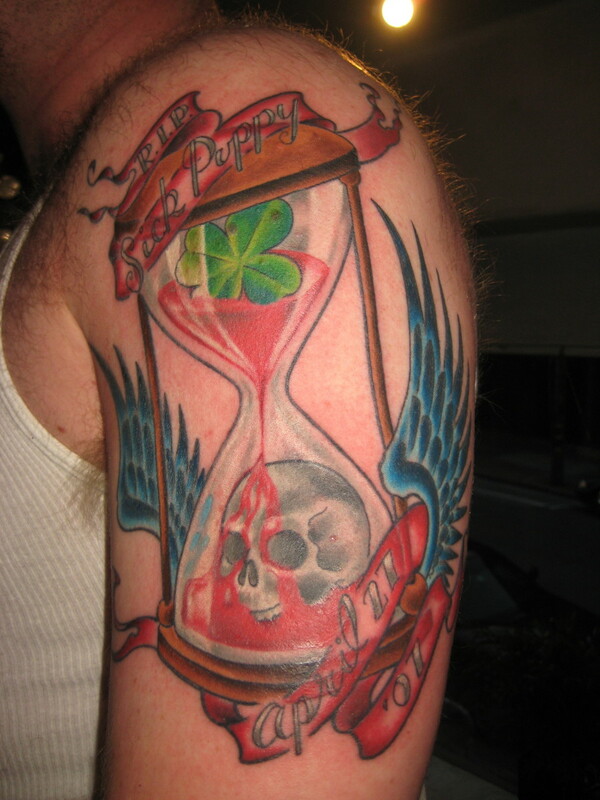 Take your time and don't rush to get inked. You don't want to get one based just on impulse. 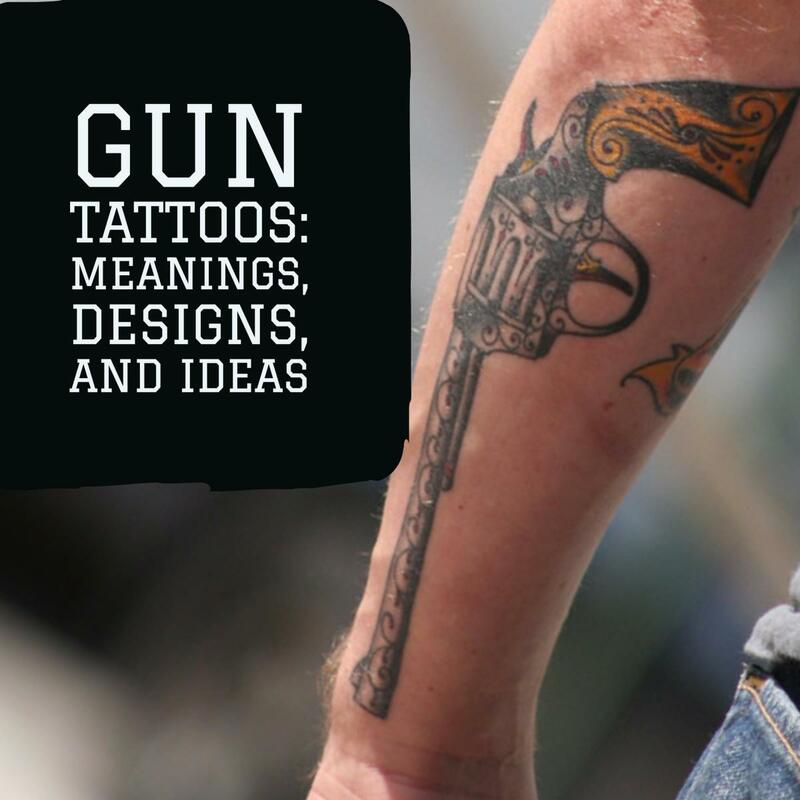 Take your time and make sure you fully understand what your tattoo means and represents. Those that rush to get one without research and knowing what their tattoo represents are more likely to regret it later on down the road. 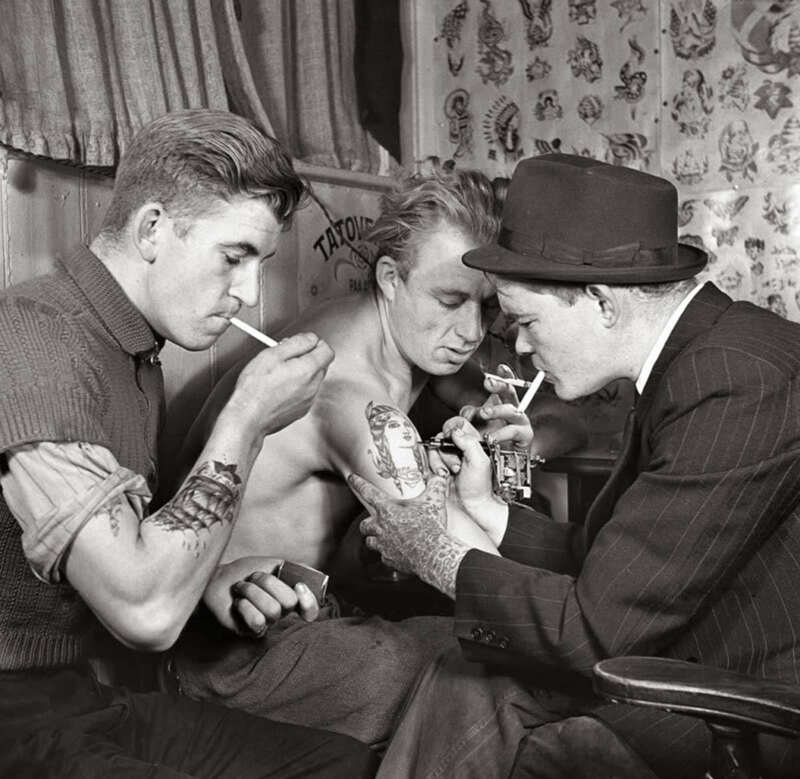 So, remember: Take your time and research your tattoo! 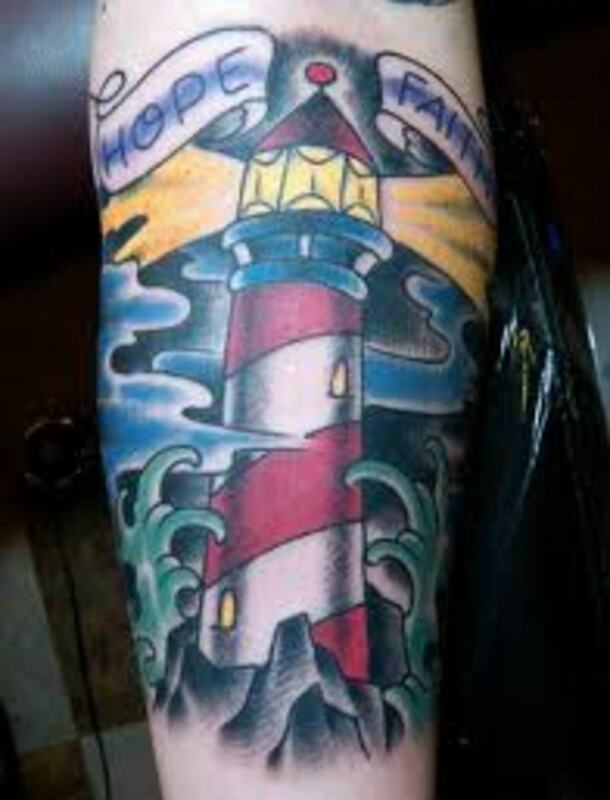 If the lighthouse is not for you, there are an endless number of other options out there. Thanks for this great article! I've got quite an unusual lighthouse on my back: It's built on the back of a baby turtle which brings some dynamic into the often stable and steady position of a lighthouse. 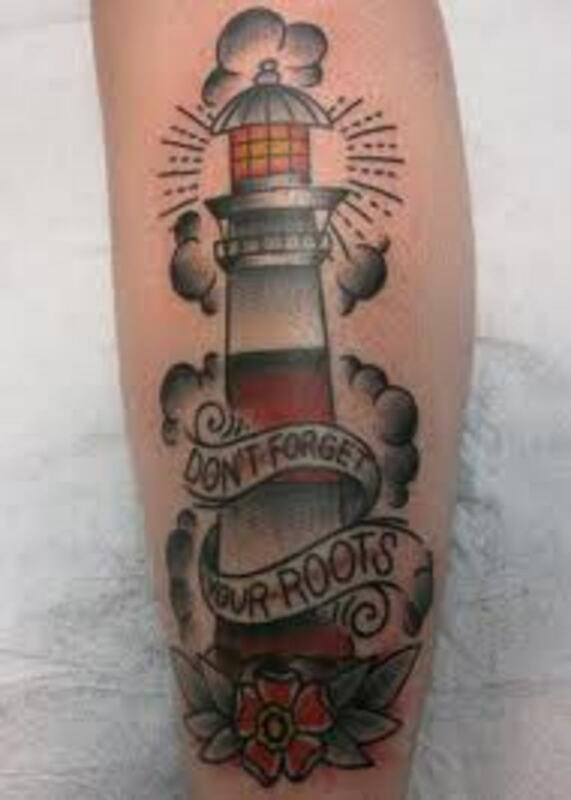 I wanted to have it that way because I personally don't feel rooted at a specific geographical location, but rather at my human lighthouses, i.e. friends. The baby turtle has several meanings in mythology. In the Hindu belief, the world rests on the back of a turtle (The “World Turtle“). In the Hawaiian culture, it is also said that the ancient Hawai'ians were guided to the islands by turtles. 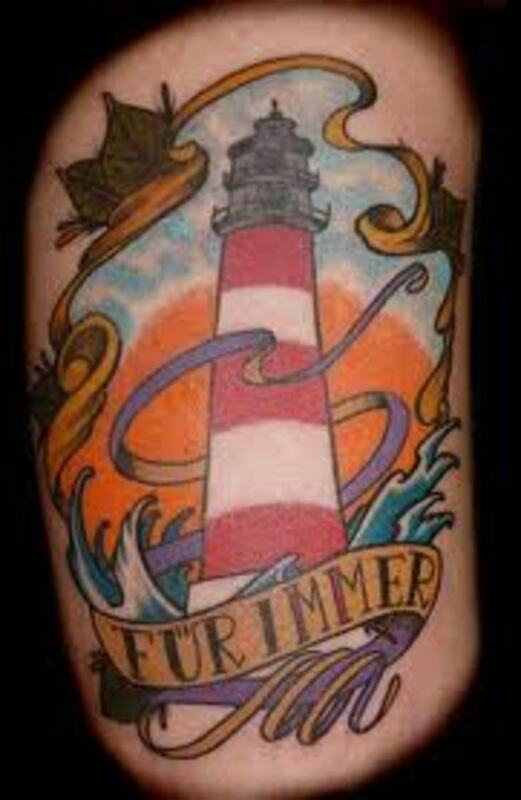 Fun fact (and coincidence): About 1.5 years after I had this tattoo done, I met my boyfriend and future husband in Hawai'i. He is a passionate hobby sailor and crazy about the sea. 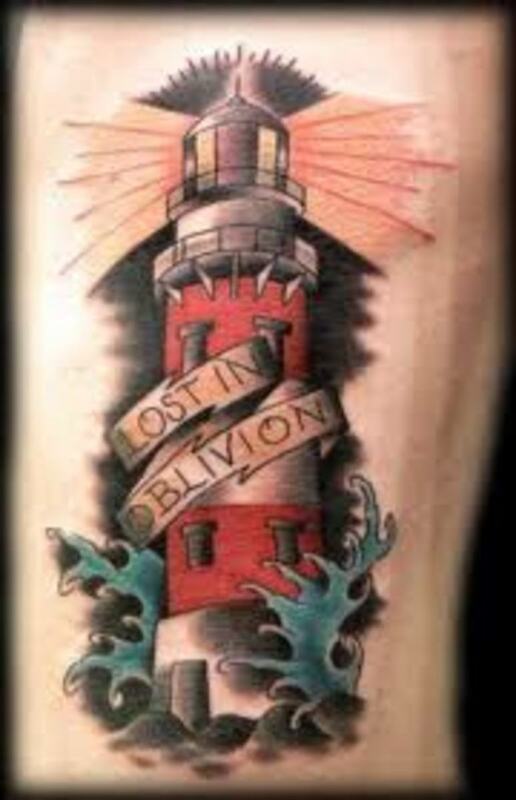 Great article, I'm booked in for a lighthouse tattoo next month and reading this has confirmed what It's about for me. 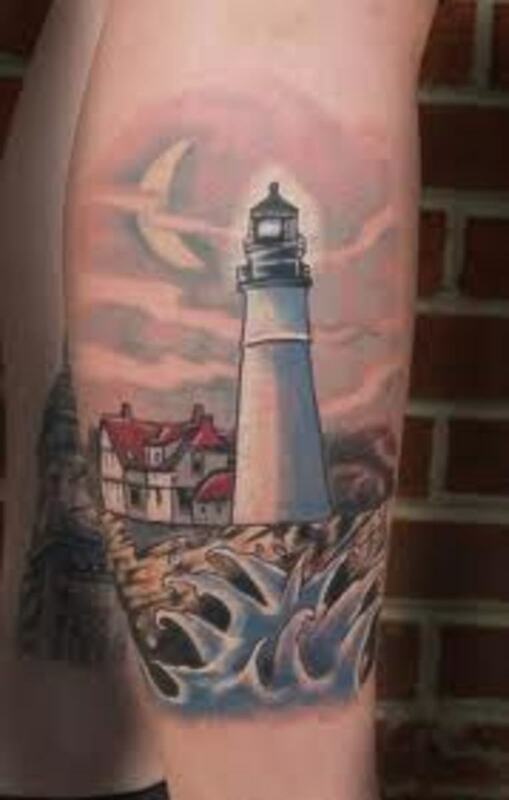 As a traveler it will be a light to guide me home safe and to me, the lighthouse image makes me dream of adventures. Great hub! Max, glad you liked it. You make a good case Max. That is an interesting perspective to have about the lighthouse. I also believe that they can be inspirational in this form. I never looked at it like that, but it could. Your a genius Max! So awesome, how did I miss this! 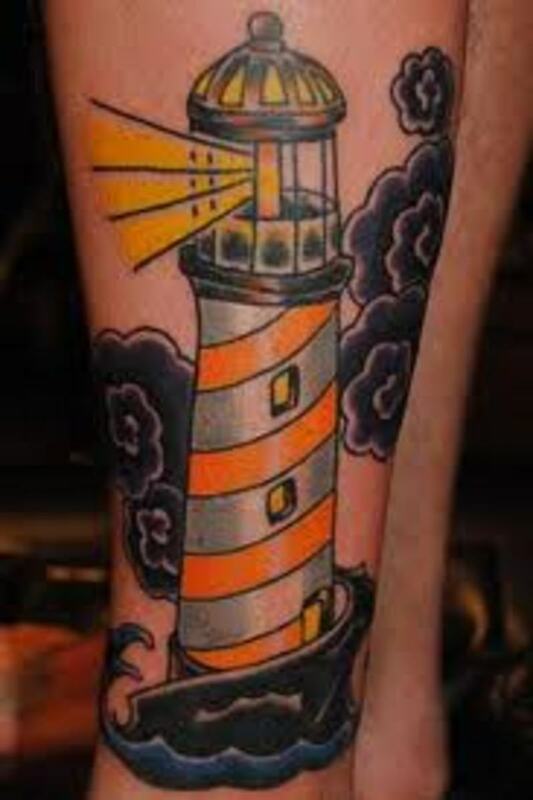 =) I have a special attachment to the lighthouses, especially after consuming in 4 seasons of aussie TV-series 'Round the Twist' (hilarious magical adventures of the family that lived in the lighthouse) LOL I never looked at lighthouses the same way again. It always represented a door to unknown, to supernatural adventure to me (but then again, what can be expected from me? LOL) I think that the most - it falls into inspirational category for me. Wow, these are quite elaborate -- some are full scenes. Voting this Up and Beautiful. 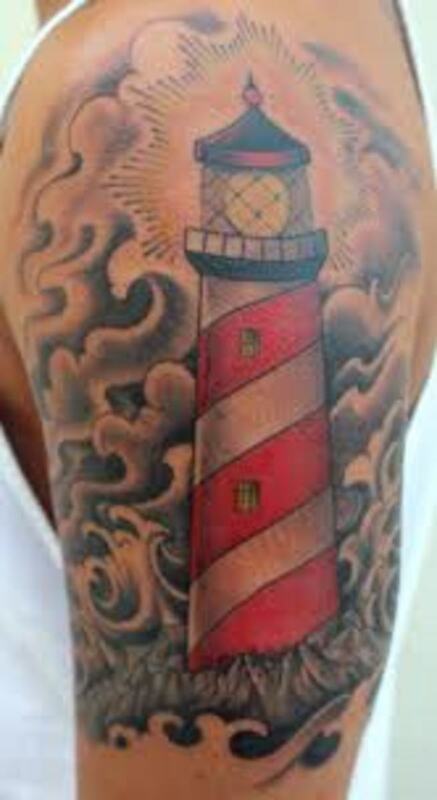 I've never seen a lighthouse incorporated into a tattoo and was glad to see that this hub, like the others you've done about tattoos, has many photos and lots of information about the meanings behind the images. I was amazed at the intricacy and colorfulness of these designs. These are amazing. 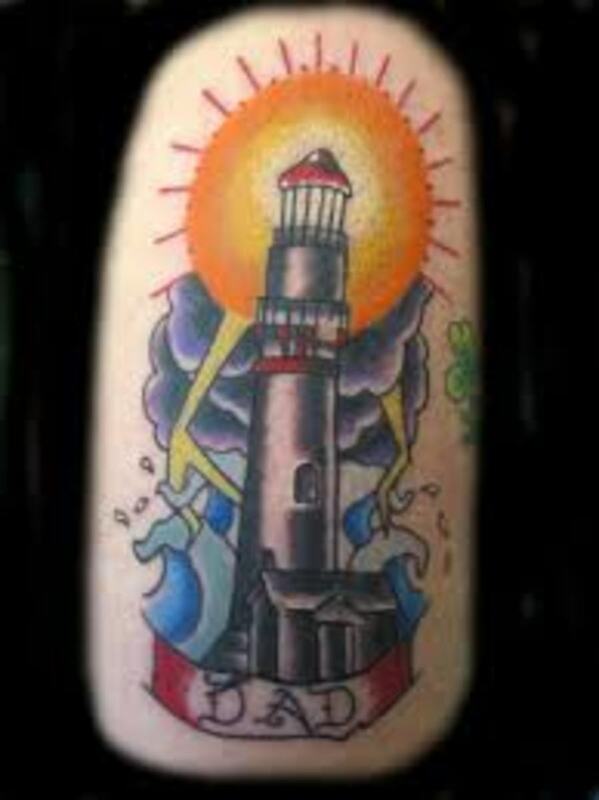 I have never seen nor heard of lighthouse tattoos before. I love the one with the seahors below. Again you have put a lot of work into this and made it very interesting to read. Wow... this was beautiful hub, my friend. 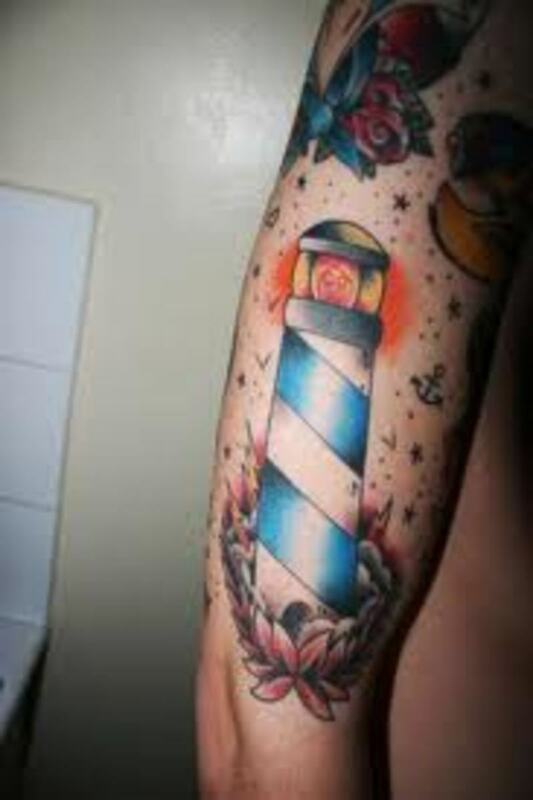 I had never know that lighthouse would become beautiful as a tattoos object. You have done a great job by sharing this hub with us. Rated up and awesome. 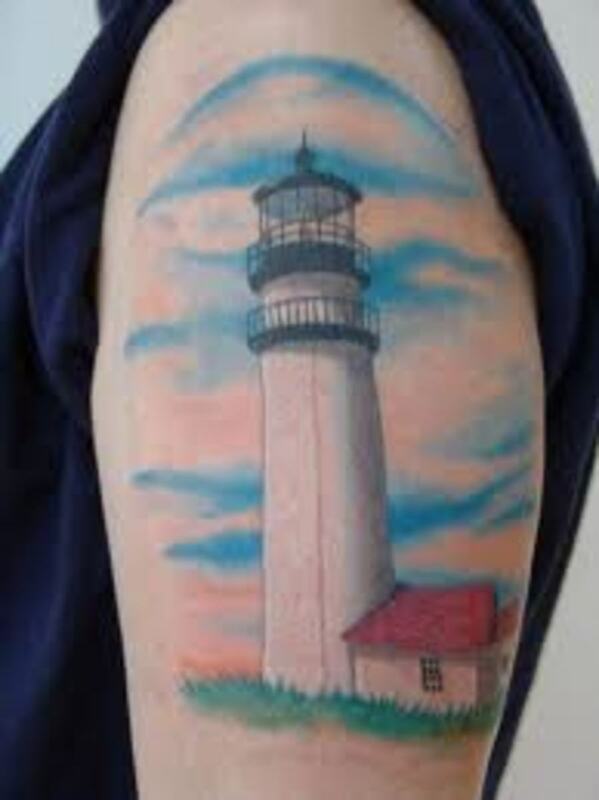 Great hub as always my friend but why would anyone want a lighthouse on them.They are colorful though. These are beautiful. 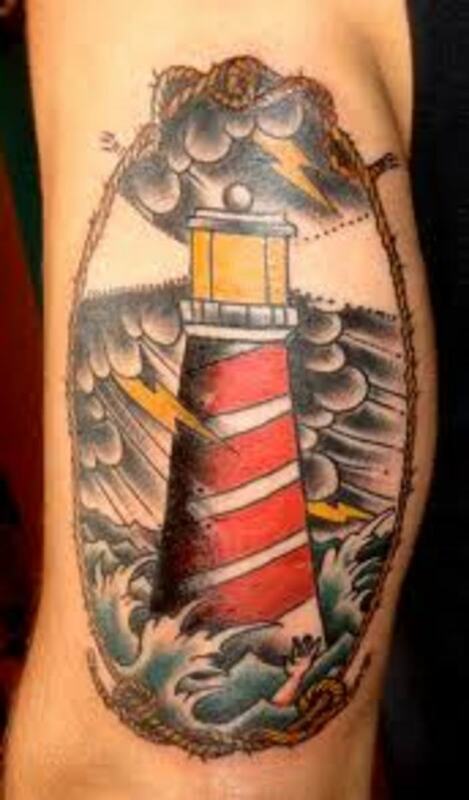 I have never seen a lighthouse tattoo in life. Thanks for the tutorial lyricwriter. I really enjoy these Hubs.